If you own a retail establishment you want it to be visible and attractive, and to draw customers in. It makes sense to invest in some shade and weather protection around your store. Not only will it provide weather protection for your customers, if designed and installed properly, it will add character to your store. And, we can have it sign-written with your store’s name and logo. We have developed attractive products to give character to your store and provide weather protection (sun and rain protection) to your customers. At Total Cover Shade and Shelter, we’re all about LISTENING to you. We’ll try to ensure you’ll end up with what you’re wanting, needing and even dreamed of for your area. Our team at Total Cover have more than 20 years’ experience combined, and we aim to give you a ‘WoW’ experience every time. We’re all about ‘saving lives’ by protecting you and your customers. 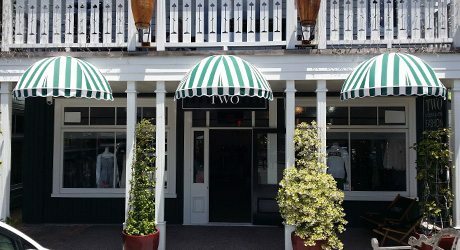 The addition of an awning to a retail store can make your store stand out from those around it. 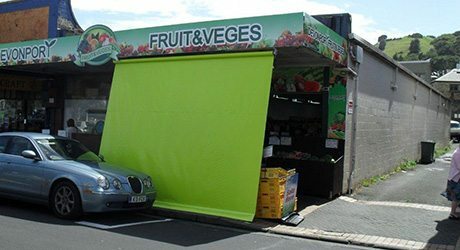 Not only that, the shade and rain protection it provides will draw customers into your shop. If your store would benefit from a more permanent weather shelter or shade structure, then a fixed frame canopy could be perfect for you. This is particularly relevant if your store has a veranda or deck that you would like covered in. For a strong and robust roof for your retail shop or the area surrounding it, you can’t go past a fixed-frame canopy with either PVC or polycarbonate roofing. A Total Cover Shade and Shelter canopy provides additional outdoor space with protection from the rain and harmful UV rays. There are many reasons why you might want a drop-down screen, fixed panel or curtain/screen for your retail shop, for instance, to separate a workspace area or screen off an outside showroom. Whatever the reason, Total Cover Shade and Shelter has an extensive range of materials that can be fashioned into a screen that will meet the needs of your retail space. 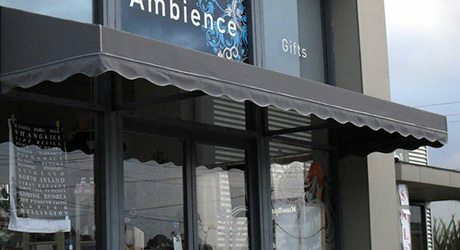 The addition of a wedge canopy to your retail shop can make your premises stand out from those around it. 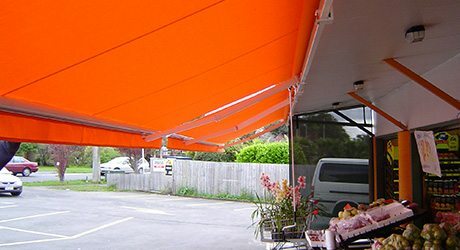 Not only that, the shade and rain protection it provides will draw customers into your shop. You can even have it sign written so it really stands out from the crowd. Our range includes wedge awnings, canopies and retractable awnings that are effortlessly folded away when not in use and even motorised retractable awnings for ease of use.